Using Princess/Celebrity and Carnival/RCL as baselines, where would HAL and NCL respectfully sit? More on the premium side or the mainline side? I haven't cruised Princess, Celebrity, or HAL so I can't speak to that part. But I have sailed Carnival, Royal, and Norwegian. I would say that Norwegian sits above Carnival in many aspects, and probably beside Royal. But I haven't experienced a full length cruise on one of Royal's newer ships (did a 3 night on Majesty and a 2 night media cruise on Symphony) so I don't have a great baseline for them yet. Thanks for the reply. Just looking (window shopping) at the moment, trying to compare lines I know nothing about to lines I know a bit about - mainly looking at passenger base as well as overall experience. I do appreciate your input - it is helpful. Not going there...other than to say we've done RCL and CARN...we stick with NCL...it works for us. PERIOD. based on personal experience, since WE write the checks, and can cruise with any line we wanted. I have cruised on all of the lines mentioned. I would put NCL = to or below the new Carnival ships and below RCI. I base this on the customer service, service and food in the Free MDR. I will give NCL the lead in entertainment. I would much rather cruise on Carnival or RCI, NCL for me is the bottom of the list. HAL INHO is above Princess and slightly below Celebrity. HAL is very nice but it is set up more for the Seniors. For HAL think more old time cruising. I would rather cruise Celebrity then HAL. Thanks for the input - it is very helpful. I cruise mostly with HAL but have sailed RCI. I would put HAL above Carnival, Norwegian, and RCI. I feel HAL is closer to Princess & Celebrity. It does have a reputation for an "older" crowd but my husband and I are in our mid-40s and we feel right at home. Your ship preference might have to do with what you like. We do not like Carnival, but if you are big party-ers, you probably would. When we were on the Glory the stage entertainment didn't start until 10:00. We have been on HAL twice. The cabins are smaller but we liked the ships. We sailed Zaandam for 2 weeks last may and only complaint was the MDR. Service was awful. We have been on Princess and that was pretty nondescript, meaning not very memorable. In you are doing an Alaska land/cruise tour with them, though, they are better than HAL. We have been on Costa, which we liked, except that a lot of the pax seemed rather rude. Weird. 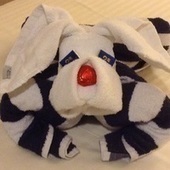 Most of of cruises have been on NCL or RCI and we like them both. I have been on Carnival (really don't care for the atmosphere), as well as Princess and Celebrity (for me, I like the nondescript atmosphere on Princess, which edges it above Celebrity slightly in my book). The reason I put Princess and Celebrity above Carnival and RCL is a combination of the level of service and the atmosphere (mixture of cruise line and passenger base). I have not yet sailed RCL, but I understand that it is a "bit more mellow" than Carnival. So, if I am reading this correctly then, HAL is comparable to Princess/Celebrity, but not as good service wise or MDR. NCL is comparable to RCL and Carnival, but better than Carnival. Is this correct? We have sailed on 34 Carnival cruises and they have varied from party hearty to quite sedate and everything in between. This may be true on most any cruise line as sometimes the passenger component cannot be know before you set sail. We have been on sailings where there were groups of 200 - 300 singles (a dating website group) and the rest of us just were amazed and sometimes taken up with their enthusiasm. Don't be too quick to judge based on one sailing of a particular line. Pick your favorite and enjoy. As for making a choice for the future, try as many lines as you can then you will know what fits your particular style.